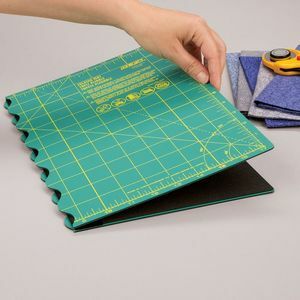 Need a cutting mat that's convenient for classes and retreats? Eliminate the hassle of traveling with a rotary cutting mat. A full-size mat opens seamlessly, but folds up for easy storage and transport.